Luz Curtis I am validating that this deal works as described. 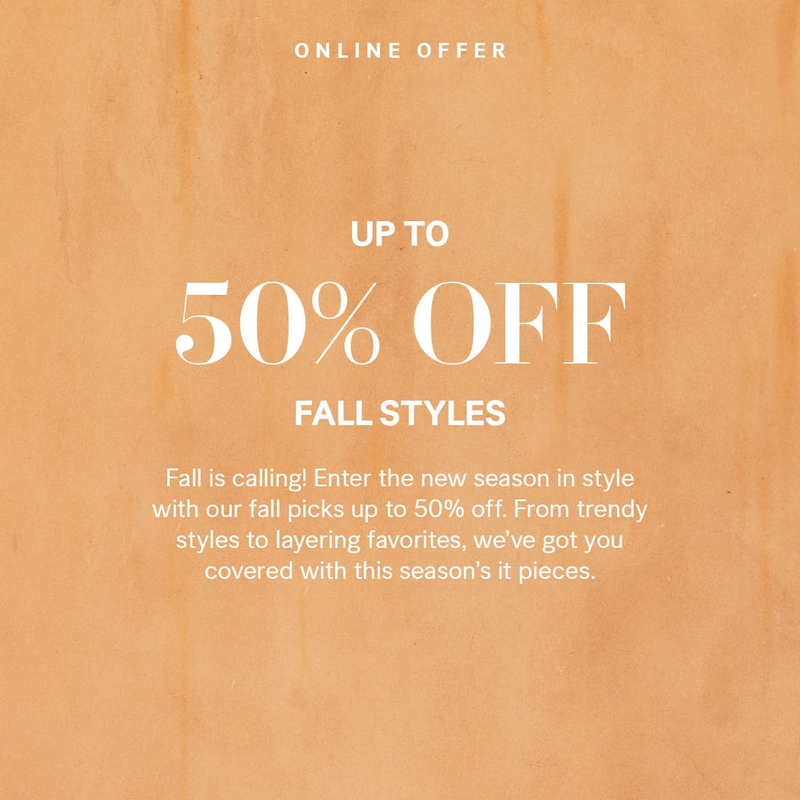 Get 50% Off Select Fall Styles at H&M. No necessary a code. Jonathan Rizales I am validating that this deal works as described. 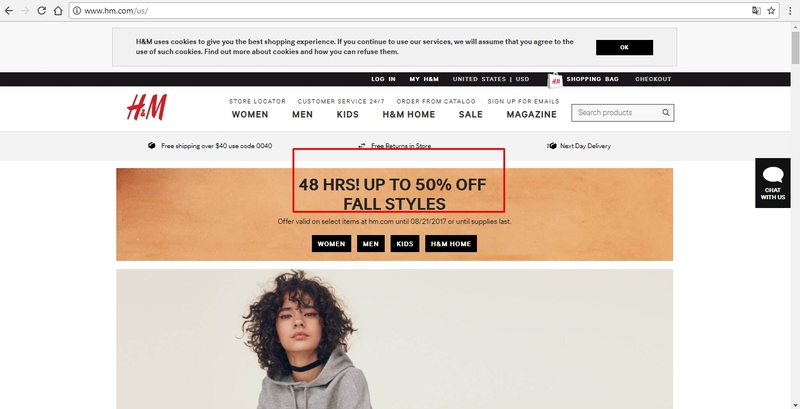 Offer valid on select styles at hm.com 8/20/2017 - 8/21/2017 or while supplies last. In-store prices and products may vary and may differ from online. No adjustments on prior purchases. May not be redeemed for cash or cash equivalent and is not transferable. Valid in US only. 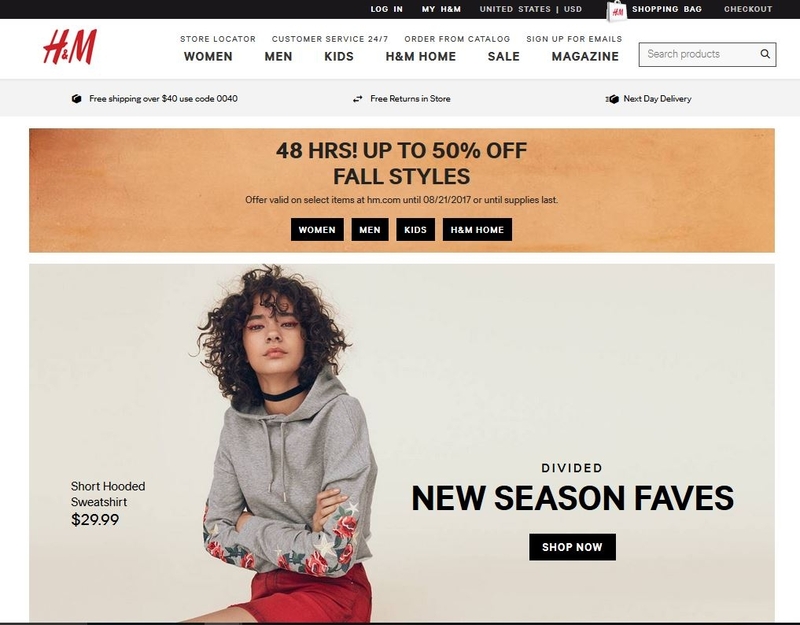 Devin On H&M website, click banner ad to review sale items within the fall collection. Sale price is automatically take off. See item description for percentage of savings.